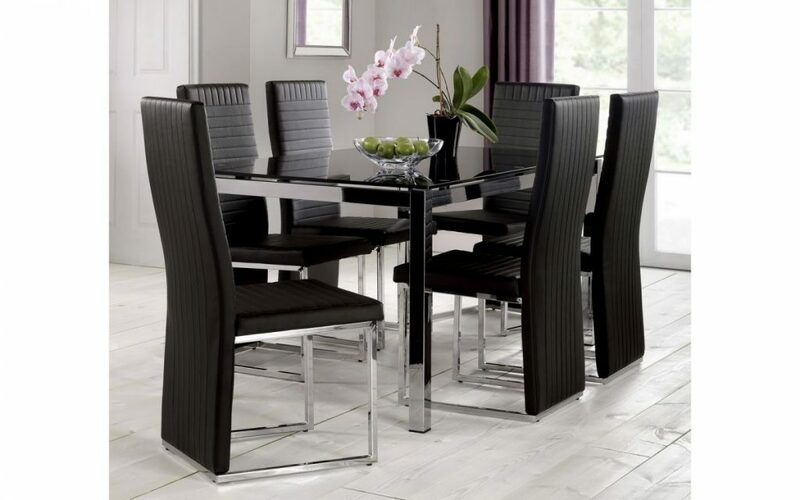 Home Dining Room Dining Tables TEMPLE Black Glass & Chrome Dining Table.W160cm X D90cm X H75cm . 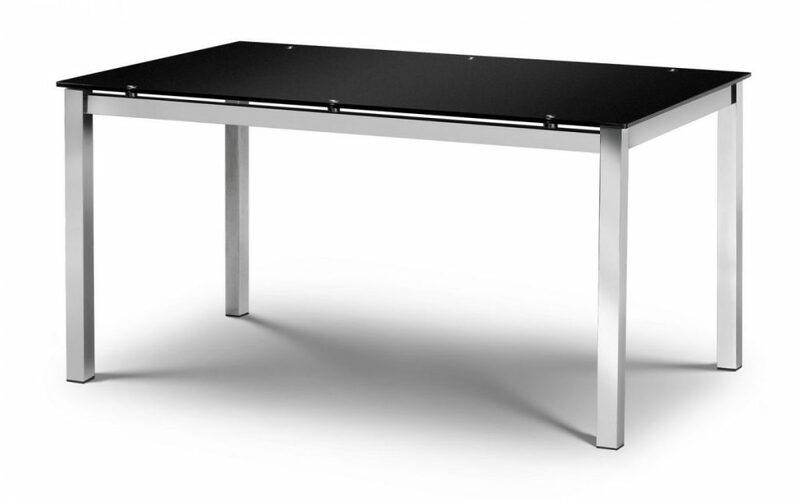 The Temple dining table is a sophisticated and contemporary combination of chrome and black glass. This collection is a delight to behold. 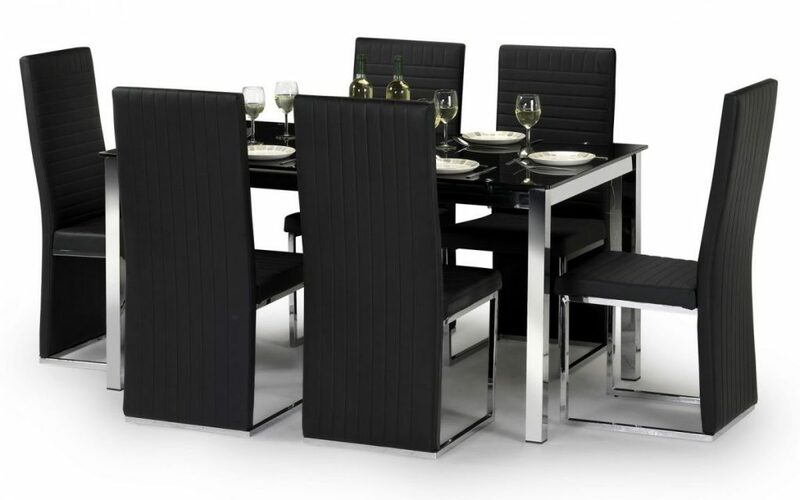 A neat, yet classic designed range perfect for dining areas in the modern home which is extremely pleasing to the eye & will add a touch of class into your home. 10mm Black Tempered Glass & Chromed Metalwork.